Now with new commentary by the author that equates Trumpism as a threat to Democracy. WITH THE STRIFE IN THE MIDDLE EAST for Democracy, The Man Who Fooled SAVAK is just as relevant today as if it were written in the 1970s. THE MAN WHO FOOLED SAVAK is a sensitive and powerful portrayal of the power of love and of freedom and what one man would do to have both. 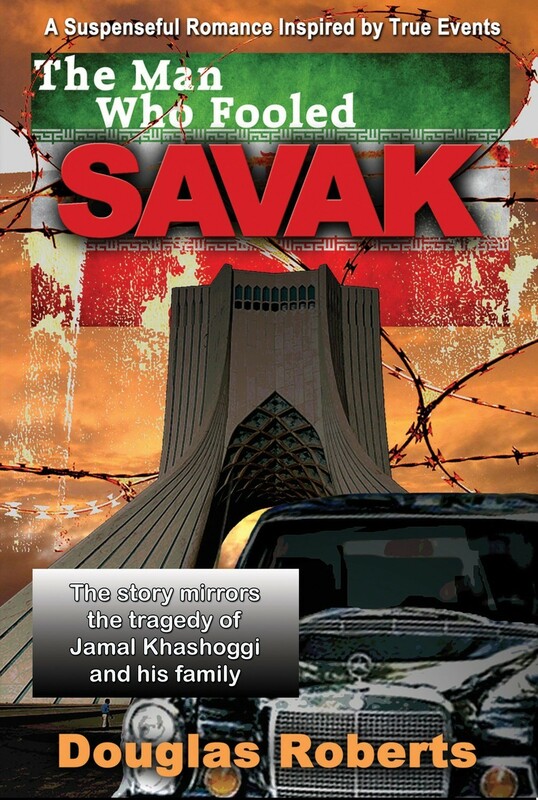 AS A FORMER ACTIVIST against the war in Vietnam, Doug Roberts now a draftee in the U.S. Army is assigned to the classified message center in Tehran, Iran, where he uncovers evidence that the regime is corrupt and propped up by one of the most brutal secret police forces in modern times – SAVAK. HE KNOWS THIS BECAUSE his Iranian girlfriend's family is feeling SAVAK's repression and later he nearly loses his life as he also is targeted by SAVAK. Now, he’s caught in the middle. THE STORY MIRRORS the recent tragedy of Jamal Khashoggi and his family. Also available on Amazon Kindle, and from Smashwords as an ebook.